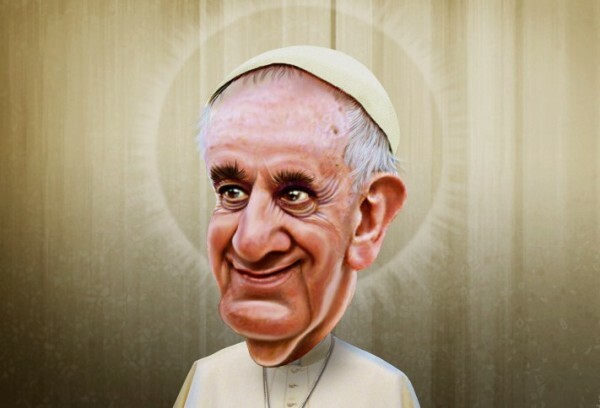 Pope Francis: Jesus-Like Anti Capitalist or Damage-Control PR Wiz? Should we be concerned about the spanking new, seemingly universally loved pope who is making even some atheists doubt their position? Virtually none of the mainstream media have seriously investigated the politics behind the election of this Pope who, for the last 10 months, has been the vogue. Pope Bergolio is heralded as a new progressive voice, mostly because of his galvanizing rhetoric and symbolic actions decrying capitalism and highlighting the role of women in the Catholic Church. These are doubtless important issues, but they do not critically address the underlying nature of an institution that is one of the most wealthy and influential on the planet, and whose tentacles reach down to some of the deepest foundations of many societies, worldwide. The mainstream appears not to understand the Vatican and the intricacies of its operation, which admittedly can take a lifetime. 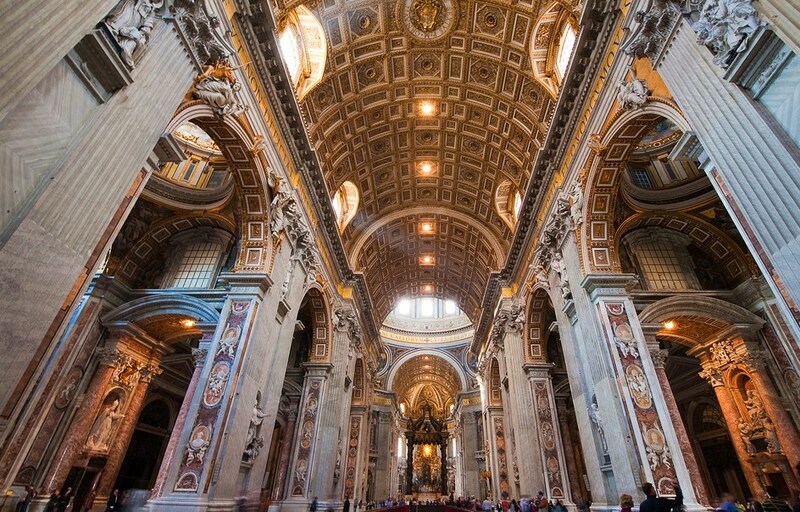 The history of the Catholic Church abounds with obscure corners of moral and legal ambiguity, of which the Opus Dei, its connections to the Italian Mafia, and the Vatican Bank scandal are probably the least controversial. Importantly, the Vatican is an umbrella organization with many national, regional and local branches. In the words of Joan Gratto Liebler and Charles R. McConnell on the subject of organizations: “So fundamental is the goal of organizational survival, that it underpins all other goals. Fostering this goal contributes to the satisfaction of the more explicit goals of the group or organization… the unwritten law of every organization… is that its survival is an absolute prerequisite for its serving any interests whatsoever.” For sure, the Catholic Church is the most resilient institution in the world, having lasted for about 2,000 years and numbering about 1.2 billion members. And like any organization, the Vatican’s first and foremost goal is not to dispense religious law, nor to save the souls of men and women, but to make money and survive. When the Vatican and the Catholic Church cease to be seen as a spiritual congregation and begin to be viewed as a business, then the realization that the Pope is not a spiritual leader but, rather, a manager, becomes inescapable. Like any head of state, the Pope has little individual decision-making power but serves the political and economic agenda of greater interests. So, why did the previous Pope, the only one in 700 years to do so, resign in 2013 after such a brief period? 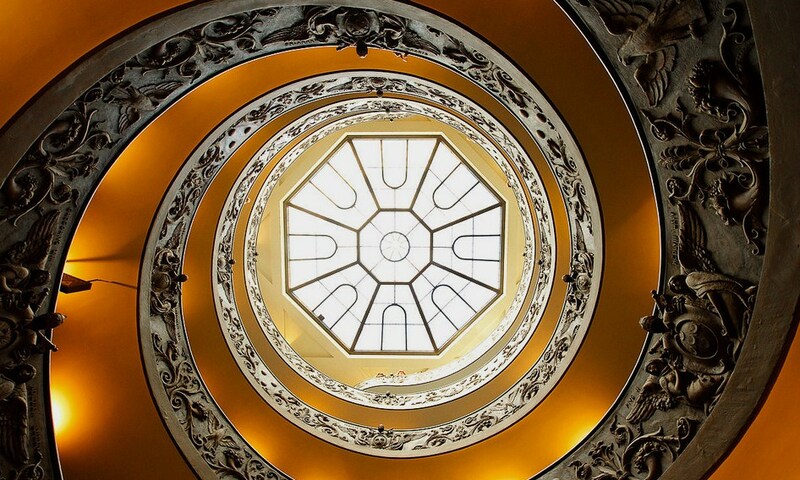 When seen from this perspective, former Pope Ratzinger’s resignation – the first in seven centuries — clearly indicates that his management of the Church was not conducive to those greater interests. 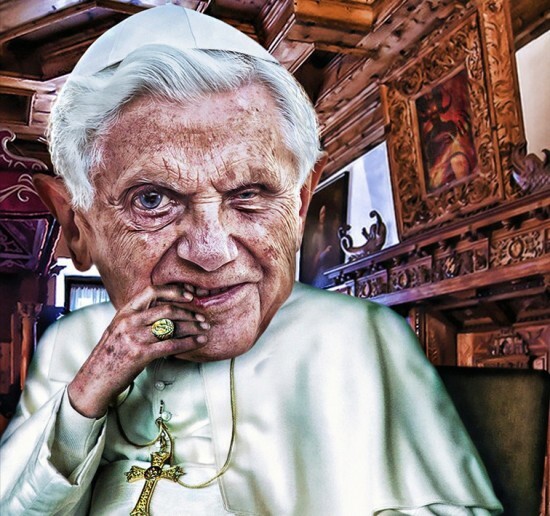 Compared to Pope Wojtyla, who spoke as many as 13 languages, Pope Ratzinger did not speak Italian, and he struggled with Latin and many other languages. This made it hard for him to communicate with his followers and on the whole made him less charismatic and popular. This criticism, however, pales by comparison to other accusations against him. The first notable blow to his image preceded his appointment and concerned his attitude towards Nazism and his past as a member of Hitler’s youth brigades. Claims of his sympathies with the Nationalsozialistische Deutsche Arbeiterpartei (NSDP) were largely debunked, but not before they had permeated the collective consciousness. Shortly thereafter, while touring Africa, Pope Ratzinger made some controversial and scientifically dubious remarks about condoms not being protective against HIV/AIDS and discouraged their use. The statement was condemned by much of the scientific community and general public. The most significant public blows, however, were the Church’s incessant pedophilia scandals. 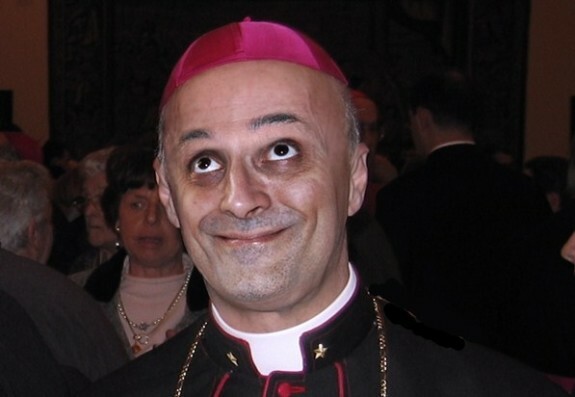 The criticisms increased when it was revealed that, as a cardinal, he had protected suspected pedophiles in his diocese. A pastoral letter of apology and condemnation, after a series of pedophilia scandals in Ireland, did little to improve Pope Ratzinger’s image. Instead, the apology was perceived as being hollow because it had failed to address the culture of child abuse that seemed to be endemic in the Church. Equally worrisome was the failure to address legal restrictions, enacted some 40 years prior, that block the transparency needed to reveal and act upon the seriousness of child abuse by the clergy. In fact, a law with the seal of Pope John XXIII holds the victims, perpetrators and investigators of abuse to a vow of absolute secrecy. This law also states that any documentation on such cases must “be diligently stored in the secret archives of the Curia [Vatican] as strictly confidential” and that members of the church who speak out on such abuses face permanent excommunication. After the external pedophilia scandal became compounded by an internal financial scandal relating to the Vatican Bank, Pope Raztinger had no option but to resign his position as manager of the Catholic Church. Pope Bergoglio is the new super Pope. 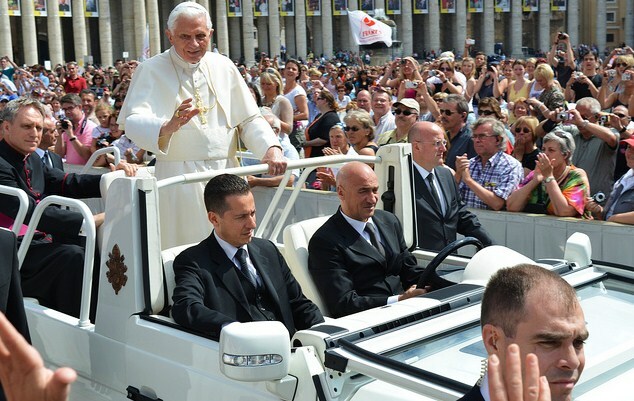 He is hailed by some as being a positive choice for the reform of the Church’s image. The propaganda around him began with his assumption of the name “Francis,” in reference to Saint Francesco d’Assisi (Francis of Assisi): a Christian saint who refused any material possession, was threatened numerous times with excommunication, and was so attuned to the natural world that he is best known for his ability to communicate with animals. By contrast, if one looks more closely at the Church’s business affairs, it is easy to see that, after the Queen of England, the Vatican Church is the largest “holder of land titles for any organization or government in the world, with visible title to around $316 billion in property (churches, schools, hospitals etc) and around $2,623 billion of investment property hidden in extremely complex networks of hundreds of thousands of trusts and front companies.” This begs the question: how can the manager of a vast wealth-accumulating organization appropriate the name of the most humble of Catholic saints? How can one justify such cognitive hypocrisy? Rather than bring attention to the Vatican’s massive wealth and its potential for solving many of the world’s problems, Pope Bergoglio has undertaken a series of symbolic actions to reinforce his spartan and progressive image. For example, he refuses to live in the opulent Vatican papal residence and has urged prelates to adopt a more humble lifestyle. He has reinforced this galvanizing statement with a widely-publicized decision to chastise and fire (at least temporarily) an extravagantly wealthy German bishop nicknamed “Bishop deluxe.” Another dismissal by the Pope, that of arch-conservative Archbishop Raymond Burke, who had expressed strong stances on divisive social issues, has served to reinforce the papal image of a moderate, although Burke still retains the presidency of the Apostolic Signatura, the highest court in the Vatican and one of its most influential positions. This cosmetic move by the Pope on social issues reduces scrutiny into the Church’s practices and stance on matters such as gay marriage, contraception and abortion, and the role of women in the Church. The new Pope has made numerous verbal condemnations to restore faith in the Catholic clergy and clear it of the blemish of widespread child abuse. As a cardinal, he reportedly expressed a “zero tolerance” policy for dealing with child molesters, and denounced as “stupid” the practice of shuffling priests to prevent their prosecution. As a Pope, however, he engaged in a similar practice himself in Summer 2013 when he secretly fired the Vatican’s envoy to the Dominican Republic after it was alleged that he was involved in cases of pedophilia. The absolute secrecy behind the Pope’s action suggests that it was intended to prevent scrutiny into the case; this has been deemed “irresponsible” by the US-based Survivors Network of those Abused by Priests. In July 2013, he announced new internal legislation to tackle child abuse that includes “a broader definition of the category of crimes against minors.” This is a rather negligible step to take in the case of such heinous crimes. Moreover, the legislation does not address the policy of absolute secrecy regarding the involvement of the clergy. 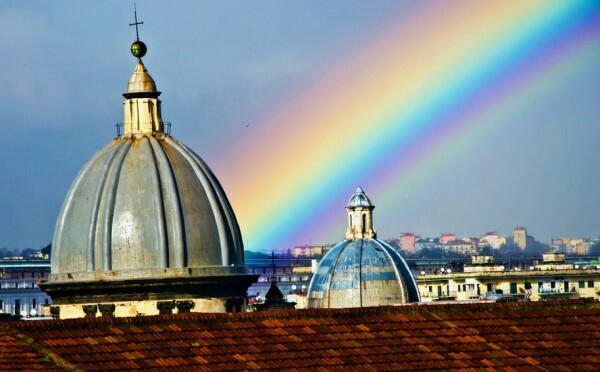 To establish himself as a new leader of extraordinary ethical prowess, Pope Bergolio has embarked on a massive plan to reform the Vatican Bank (formally, the Institute of Religious Works, IRW) and make it more trustworthy. 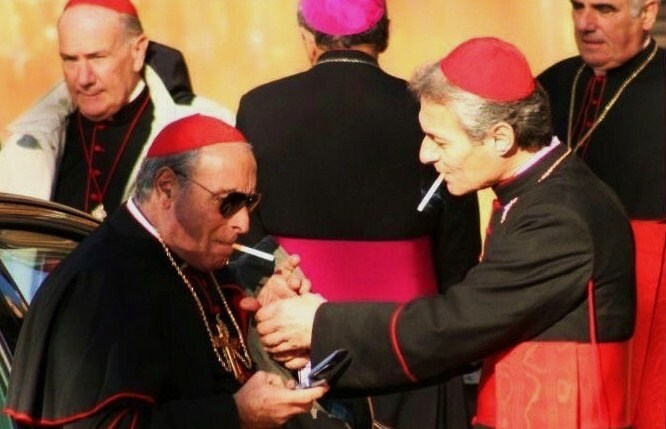 To this end, the Vatican Bank will consult with a close advisor from JP Morgan Chase. Again, the reforms are considered to be cosmetic and a response to pressure from international banks and banking regulators, like HSBC, that have closed IRW accounts due to its shady banking practices. Therefore, far from being ethically driven, it appears that, remaining true to an old axiom, morality in banking is often colored green. 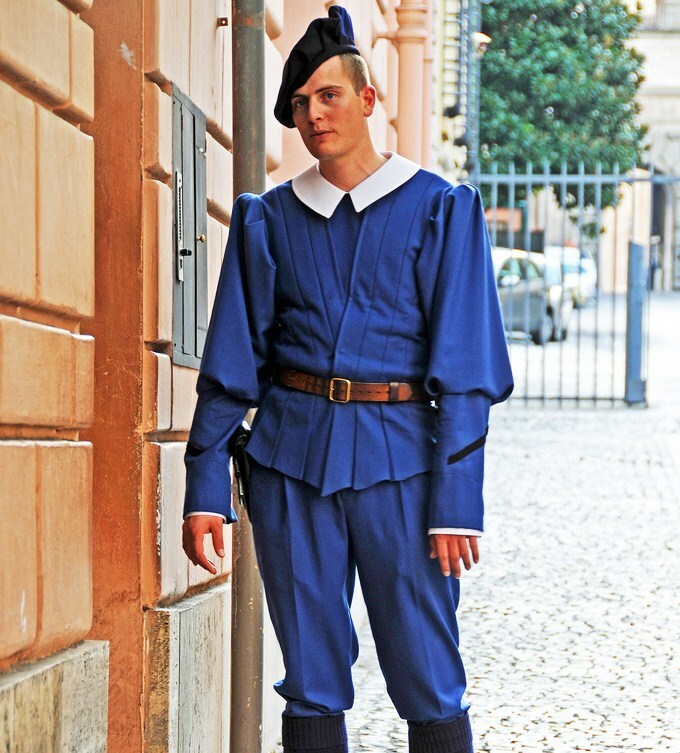 Pope Bergolio’s project is especially dubious because he heads the Jesuit order, which was the first in the Catholic Church to adopt a pro-active approach to strategic property acquisition and property development. This approach, which commenced shortly after the truce between the Jesuit order and the Vatican at the beginning of the 19th century, has been used to leverage an already massive portfolio so as to acquire even greater value and property assets. The press machine has run nonstop to reform the Church’s image through the “amazing” Pope Francis. Since August 2013, Bergolio has published 10 books, nine of them in the three months between September and mid-December. Many have become bestsellers in multiple languages. He was voted Time magazine’s Person of the Year for 2013. Media critics have sung elogium after elogium but failed to evaluate critically the Vatican’s politics, policies, and its nature as a capitalist land-owning business. 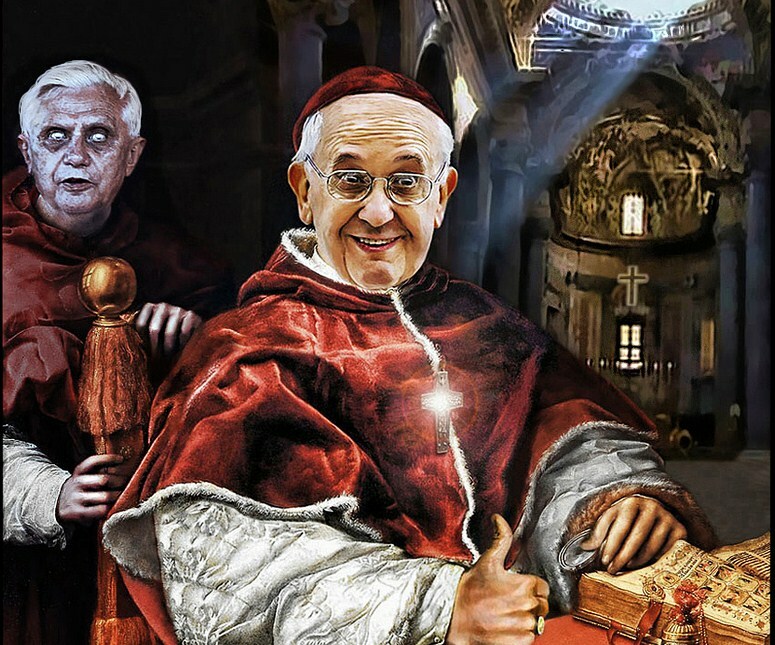 While the more conservative and hardline elements of the Catholic Church have expressed discontent with the Pope and even dubbed him a “communist,” the more moderate elements and general public have had the opposite reaction. 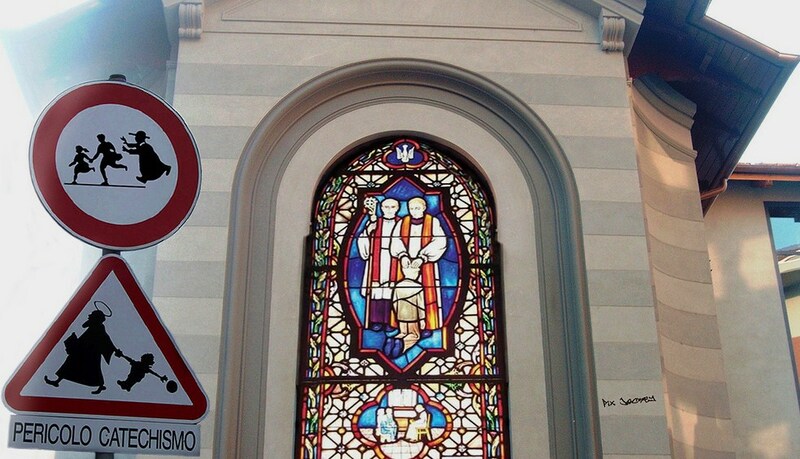 The reform of the Church’s image is progressing apace. Less than a year after Pope Ratzinger’s resignation, the endemic cases of child molestation and abuse and the Vatican Bank scandals already seem but a distant memory. The Catholic Church’s publicity under Pope Francis continues to garner believers together with money and assets. Editor’s Note: Photograph one by Jenene Chesbrough. Photographs two and ten by Sean Molin. Photographs four, six, seven and nine by Roberto Rizzato. Photographs eleven by Dennis Jarvis. Photograph eight by Donkey Hotey. Photograph five by MM and photograph twelve by Dab. 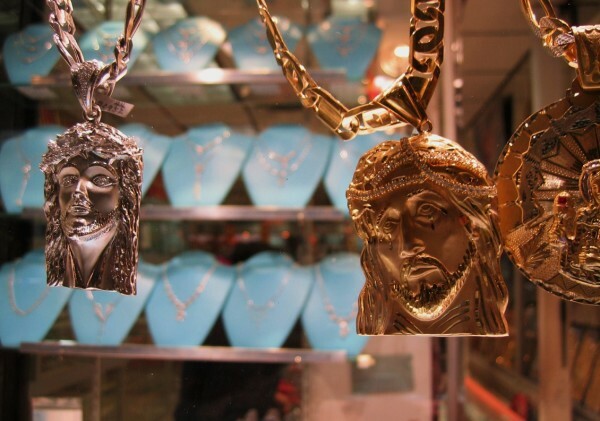 2 Responses to Pope Francis: Jesus-Like Anti Capitalist or Damage-Control PR Wiz? As one who spent many of my formative years in Catholic missions, I came to think along the same lines as the writer of this article. After all, I had friends being sexually molested by priests, something which led to me to rebel against the Church at a very early age, at which stage I started my amateur research into the Catholic Church and have since come to the conclusion that it’s nothing but an influential political organization which is not that different from the political parties. The whole experience has made me question the very concept of religion as it is practiced today; not just the Catholic Church and its Pope. By the way I am now a non-practicing Catholic. See no point in changing as all religions are the same to me. I prefer to look up to the supreme power that is, presumably, responsible for life as we know it. Thank you for your kind commentary, and my thoughts to your friends who were molested. Indeed, and I think I can complement your thoughts with my experiences in training as an ordained Unitarian priest (never practiced). I think many of the criticisms against the Catholic Church also apply to any other formal religious institution. Definitely, all monotheistic religions and the books on which they are based upon also enforce the concept of patriarchy and submission to authority. This in turn is used to legitimize human authority in the political and economic spheres. Lest we forget: for millenia, the pharaohs, kings, queens and other sovereigns that oppressed humanity have claimed divine appointment, and above them all, to grant such appointment (at least in Europe), was the Church. This, however, has nothing to do with spirituality, which can be and is pursued at a personal level. At this point, I think that religious denominations become quite irrelevant, as do the institutions. This is one of the chief reasons of religious institutions fueling the – formal or informal, practical or ideological – conflict between religions.